Imagine Rare Blood on the Big Screen for the world to enjoy. Who would you want to play your characters? *Rare Blood stars a young feisty writer, Miranda Ortega, from a small town in downstate Illinois who escapes to U.C.L.A. when she gets a scholarship. After graduation she becomes aware of a vampire empire whose Haute Caste has been interested in her since birth because of an extremely Rare Blood type, HH, and her Templar Knight ancestor, Jacques de Molay. Would your audience prefer Aimee Garcia (currently in the cast of the TV show Lucifer) or Bella Hadid the super model who speaks her mind? I like Aimee because of her Lucifer character’s ability to hold her own in the midst of chilling chaos. I also like Bella because she seems undaunted by fame. *Tristan Mordecai is a seductive, strikingly handsome, with a thick mane of blonde hair, river blue eyes, and a slight but muscular build. He is also arrogant, brilliant, and easily bored. 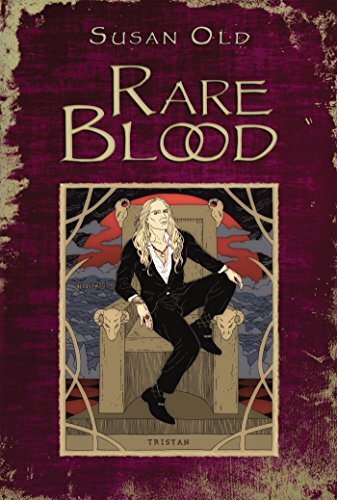 Tristan is one of the most powerful Haute Caste Vampires, born in Lithuania in 109o. He is very interested in Miranda’s potential as her bloodline makes her a suitable mate. Though fairly well-controlled when angry he has been known to throw a piano. Would your audience prefer Martin Wallstrom or Alexander Skarsgard? They both have portrayed interesting, intense, passionate, complex, strong men and I haven’t been able to make up my mind. *The Magus is the original vampire. All of the undead can be traced back to him. He has a variation of HH blood which caused the development of his undead traits and has kept him youthful since his birth in Mesopotamia at the dawn of civilization. He also realized he could pass on his abilities and special diet to those he deemed worthy. He has traveled the world creating an international society of vampires that act as nocturnal vigilantes when someone is considered a worthy target because of abusing others. He is the ultimate control-freak, and a chess master. He is tall, dark and handsome. His deep brown eyes miss nothing. His presence draws people into his world of secrecy and intrigue. He demands honesty and loyalty. Zayn Malik is my choice for the Magus. I could not come up with any other performer in this age range who has the charisma, attraction and intelligence that matched this character. I hope your audience agrees. SUSAN Grew Up in So Cal with hippies and surfers, wrote for her high school underground newspaper and played in a garage band. Her adventuresome spirit took her to Central Africa while serving in the Peace Corps. Back in the states she worked in Mental Health/ Addictions for 30 years. Exposure to many cultures/ subcultures and unique thought processes made writing about vampires a supernatural next step. When not writing about Miranda’s struggles with the vampire world, she volunteers at an animal shelter, and a Veteran’s museum. I don't really have a favorite I love to read them all. Oh I have to say The Vampire Diaries!